Associates of the Sisters of the Living Word are women and men who make an annual public commitment to daily prayer and to be in relationship with the Sisters of the Living Word and other Associates through dialogue, faith-sharing, and socializing. In various ways they live the Mission Statement of the Community in the spirit of the Charism. 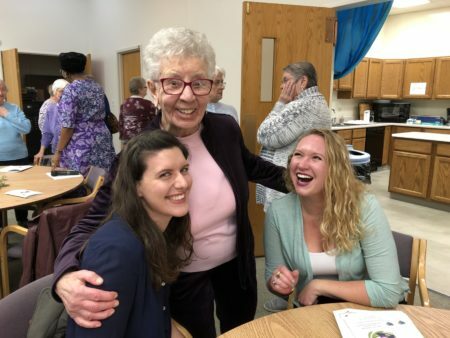 To ready Associates for this commitment they participate in a formation process of prayer, reflection and study with a Sister or another Associate who serves as their companion. Associates share the Sisters’ desire to deepen their understanding and lived experience of Gospel Spirituality, reflecting and affirming the presence of the Word in our world. They resonate with the charism that marks the Living Word Community, and they share the responsibility to express that spirit, spirituality and charism, through how they live. For more information about becoming an Associate, please contact Sr. Donna Williams at associates@slw.org or Barb Aretz at baretz9025@aol.com, Associate Coordinators. Over 110 Associates share the Gospel vision and identify with the SLW spirit in varying degrees and forms. We are grateful for their partnership in association. Click on the link below to contact an Associate.